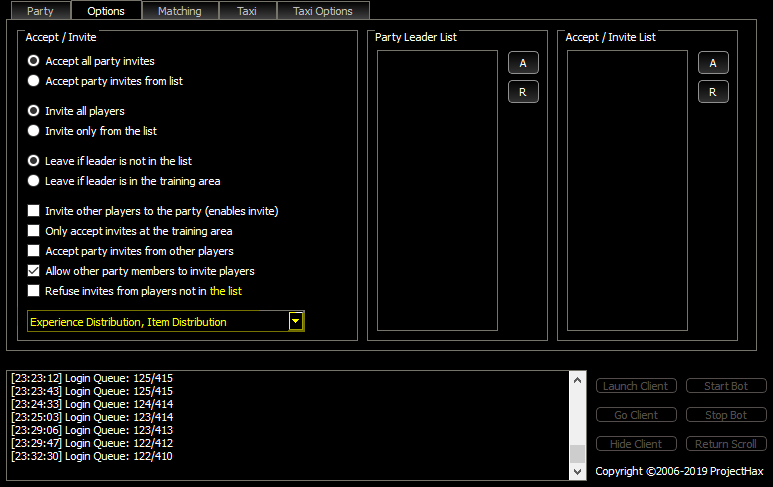 lol its already in share/share it just stops inviting more than 4 players most of the time bot relogs. Can you provide a way to reproduce this? I am using the same configs that I’ve been using for a long time. For a couple of days after updating, whenever I look at my gold party, the party has only 4 members in it and the other 4 are partyless grinding at the spot. After I manually kick everyone out of the party, It invites all 8. 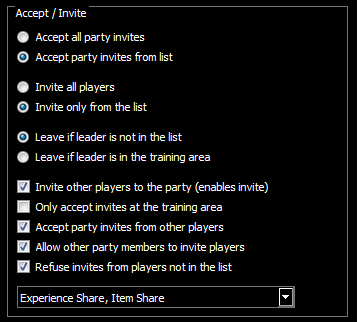 Right but I need steps to make it not invite a full party. It’s something with the party type causing it to believe the max is 4 instead of 8. I think I found the problem actually. I will give you a version to try soon.